Attendees of the 2016 Women's Night Out With Science and Technology pose for a group photo in Kyungdong Hall, Main Admin. Bldg., UNIST. UNIST hosts a "Night Out with Science and Technology" event to inspire the next generation of female scientists. Members of the scientific community, young students and others supporting women in science and technology gathered at UNIST, Wednesday night to celebrate the 2016 Women’s Night Out With Science and Technology. The UNIST Women’s Night Out With Science and Technology offers an evening for women to debate important questions, celebrate the careers of female scientists, innovators and educators, and inspire all women to become leaders in their field. Organized by the Academic Affairs team, the meeting aims to create networks and discussion that lead to create an environment that inspires young aspiring female scientists to be the best. 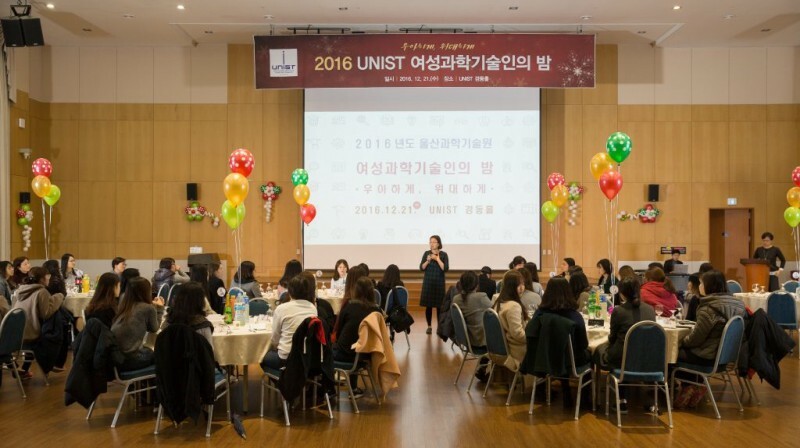 The 2016 Women’s Night Out With Science and Technology, held in the KyungDong Hall, Main Admininistration Building, UNIST. The event was hosted by Professor Jinsook Choi of Division of General Studies at UNIST. During the course of the event, Professor Sun Young Jang from the University of Ulsan explained the supporting system that aids women in science and technology by giving specific examples. Afterwards, Professor Youngshin Kwak of Design and Human Engineering at UNIST talked about the current status of women in science and technology. 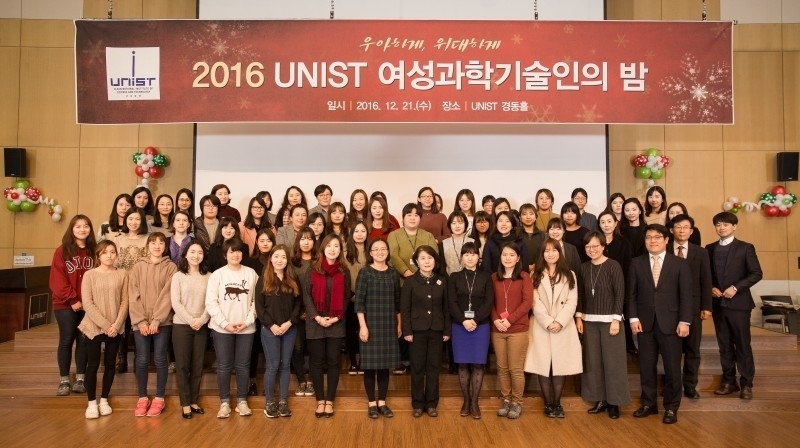 “We hope that this event will serve a platform for communication among aspiring female scientists at UNIST,” says Professor Kwak.